This year we are working with Nadine Eggleton, a final year student in UEA’s School of Biological Sciences, to produce some fun new resources to help families enjoy and learn about nature and wildlife in Eaton Park. We are delighted to unveil the first of these ‘Signs of Spring’. 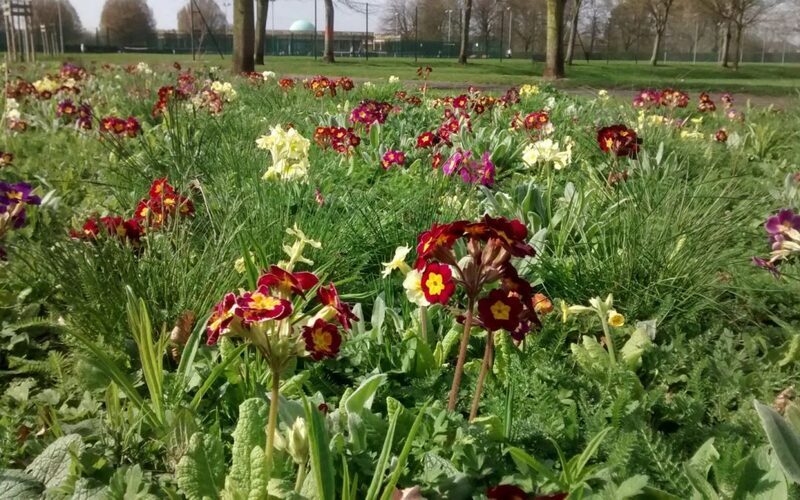 This colourful, self-led activity invites children aged 5-9 to explore the Eaton Park looking for tell-tale signs of spring such as buds on trees, fallen cones (who knew that ‘male’ cones fall in the spring! ), and buzzing bees. You’ll find signs of spring throughout the park – in the trees in the children’s play area, in the rose garden, in Bluebell Wood and in our newest wood – North Park Wood. So get walking, take a good look around you, make a note (or even a drawing on the other side of the activity sheet), and most of all enjoy! The trail is available to download and print off for free. Click here to download and watch this space for two more trails coming along later this year. Thank you to Nadine, to Kay Yeoman her tutor, and coordinator with Friends of Eaton Park of this project, and to UEA’s School of Biological Sciences.